BOSTON -- The 2014 death of a Boston police officer has been linked to injuries he sustained when he responded to a shootout in Watertown in 2013, involving the Boston Marathon bombers, reports CBS Boston. 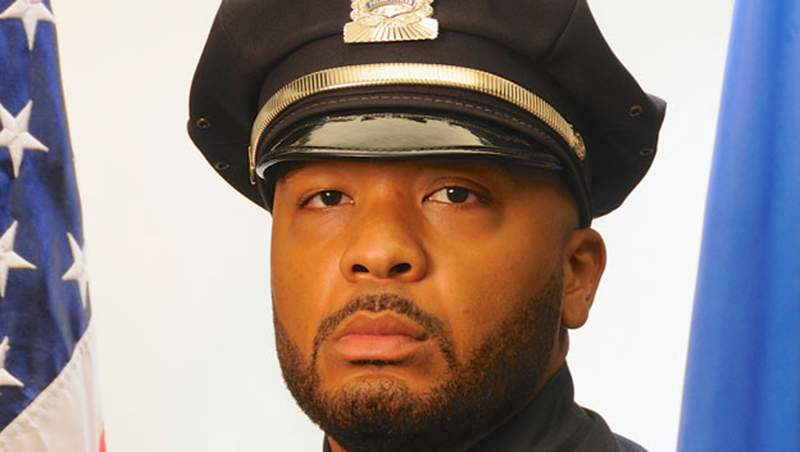 Officer Dennis "DJ" Simmonds was reportedly one of the first responders to the scene early April 19, 2013 in the near-Boston suburb when brothers Tamerlan and Dzhokhar Tsarnaev engaged in a shootout with police and tossed homemade bombs. Simmonds' younger sister Nicole told the station he was knocked to the ground, sustaining head injuries he never fully recovered from. He collapsed and died in April 2014 while at the Boston Police Academy gym, reports MassLive.com. On Thursday, the state retirement board recognized that Simmonds died in the line of duty, awarding his family $150,000 as a one time line-of-duty benefit, reports the station. The board stopped short of calling Simmonds the fifth marathon bombing victim, though the report they received from a state medical panel found his injuries were consistent with what happened during the Watertown battle, reports CBS Boston. "We absolutely want him to be recognized as the fifth victim," Nicole Simmonds told the station. "It's now etched in stone, it's etched in paper that my brother is recognized as a hero among those key decision makers." Simmonds' injuries were witnessed that evening by fellow officer Patrick Rose, the head of the Boston Police Patrolman's Association. "I drove Dennis out of Watertown, I believe his injuries were sustained that evening," Rose said. Two explosives went off near the finish line of the Boston Marathon April 15, 2013, killing three and wounding 264. An MIT campus police officer was fatally shot in his patrol car April 18 by the marathon bombers. Tamerlan Tsarnaev, 26, was killed soon after. Dzhokhar Tsarnaev, now 21, was found guilty April 8, 2015 of multiple counts. He was sentenced to death May 15. The district attorney's office has said it won't pursue new charges in Simmonds' death, reports the station.